An instructor approached me yesterday letting me know he had a new textbook for his course. He wanted to know how to import a test bank from the textbook company. If the company provides a properly formatted file, this process is very easy. It will save you a lot of cutting and pasting. 1. 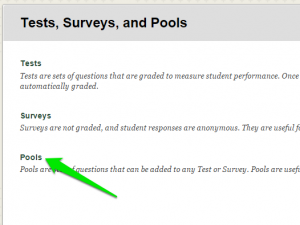 Download the test bank from the textbook company. It should be a ZIP file. 2. 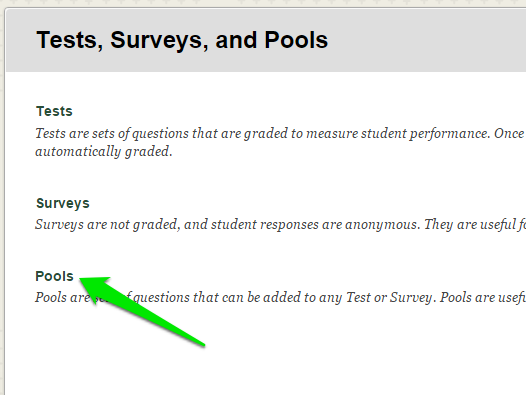 Log into Blackboard and navigate to your course. 3. 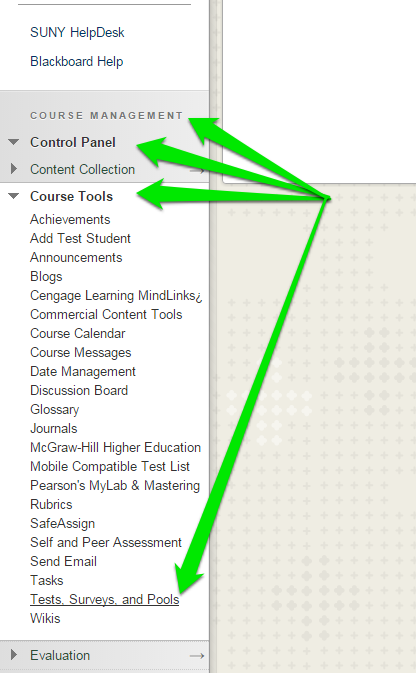 Select from the Course Management section Control Panel -> Course Tools -> Test, Surveys and Pools. 6. Select the Browse My Computer button and locate your ZIP file. 7. Click on the Submit button. It may take a few minutes, please be patient. 8. 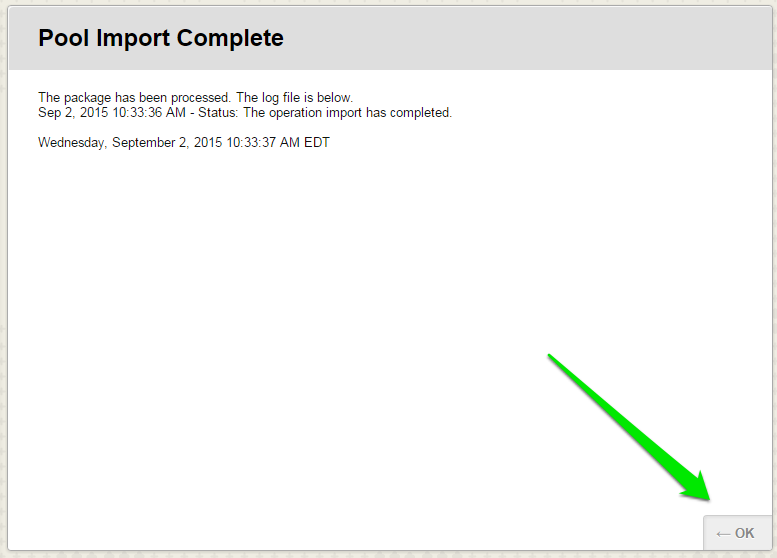 When the process is complete, click the OK link in the bottom right corner. 9. 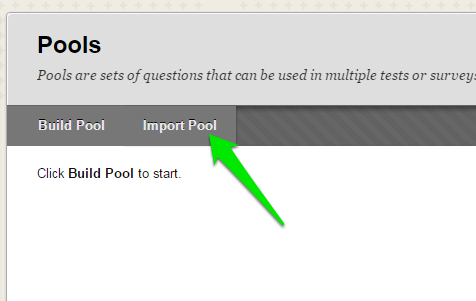 Your test bank is loaded, you can now review the imported questions. While creating quizzes, you can now copy questions from or link to these questions. 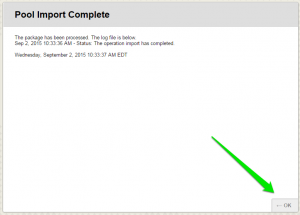 If you have questions about importing a test bank, please contact the TEI team.